Ford Triton engines are awesome. The confidence that Ford has in its 5.4L engine is displayed in many of its popular vehicles. The Expedition, Navigator and F-Series trucks are just some of the models that use this famous engine. 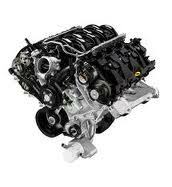 We are fortunate to be one of the top dealers of Ford Triton V8 remanufactured engines online. Our company was built with customer satisfaction in mind. What you will get when you buy our engines is quality, a warranty and a peace of mind that you did not spend too much money. We keep it cheap and save you enough money to buy another engine when you need one. Engines can be in a variety of conditions when purchased online. We are a select engine dealer. This means we are selective at what we purchase for sale. We deal with remanufactured engines only. We have nothing bad to say about a used engine. We feel that these have their own market and we have our market. We know that our expert mechanics do a great job and make V8 engines better. This is the reason why we choose to remanufacture and not sell just a standard used engine. Our Triton engines come with our seal of approval. We have our own standards and other sellers have their standards. What we choose to do when rebuilding engines might not be the same process that others use. What we believe is that engines should only be built with genuine Ford components and tested and re-tested. This is our process for rebuilding Ford V8 engines here. We start by stripping used Triton engines and preparing them for a remanufacturing job. All parts are sterilized and cleaned up with special sprays that help eliminate future rust. When the block and parts are cleaned, we change out defective parts in exchange for new ones. This makes the Triton as close to a new 5.4L as humanly possible. Each of our Ford rebuilt engines are then moved into our testing area. Our experts hook each engine up and begin to test the idle speed and operation. You can learn a lot from a low speed test although we know that these engines will be driven at higher speeds. We increase the idle speed to mimic what happens when a load is on the V8. It is only after this test that our data is compared with the 5.4L schematics that Ford provides. When we are satisfied is when our sales department is notified that these engines are ready for sale. That’s our process of remanufacturing engines for our customers. We want you are fully informed and educated about what we do for you. You need a 5.4L Ford engine and we happen to have these in stock at www.remanufacturedengines.co. It’s funny how that works, but our pricing will make you very happy. Use the V8 Triton quote request form that we have created on this page. It presents our price to you right online. You can always call us on the phone at 1-877-630-3873. We are easy to reach and easy to speak to when you need assistance. Get a 5.4L low price by contacting us today.